The governance of ICAS is overseen by Council, Boards and the committees detailed below. The ICAS Secretary, is responsible for the leadership of the corporate governance of the organisation reporting directly to the Chief Executive and the Office Bearers. One of the main aims of Council is to ensure that the objects of the Royal Charters are achieved in a manner consistent with regulatory body status. Council also ensures that high standards of corporate governance are observed at all times and oversees the effective management and direction of the Institute's affairs. The membership of Council is set out in the General Regulations (Regulation 5). Council has established a number of Area Committees to serve each of the electoral areas and it is the duty of each Area Committee to provide nominations to Council of eligible candidates for election to membership of the Council. Council delegates a number of its day to day operations to Boards and Committees, though certain items of business must, by its very nature, remain within the control of Council. The establishment of the Constitutional Panel was approved at the Council meeting in November 2010. Council approved that its role was to oversee and sign off any revisions to the Royal Charter, Rules and Regulations. In addition, it is to consider all material that is to be issued to the AGM/SGM that may interface with the Rules and Regulations. The Panel will meet at least annually and shall comprise of at least one public interest member. The Oversight Board monitors and supports the implementation of the institute's strategy, business plan and budget, and to report progress to Council. 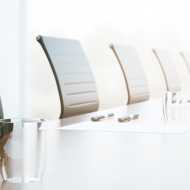 Council has established three Operational Boards to manage and direct the affairs of the committees within its respective remit. Each Board must meet on a minimum of two occasions per annum. Each Operational Board reports to the Oversight Board (the Chairman is a member of the Oversight Board) and reports to Council annually. Propose Regulations to Council concerning the constitution, composition, conduct of business, powers and functions of the disciplinary and appeal panels of ICAS. Propose Regulations to Council concerning the role, function and processes of the Independent Examiner Panel. Provide guidance on the level of indicative fines and sanctions to be used in the disciplinary process. Publish information in respect of the disciplinary process, including the publication of decisions and general guidance. Set criteria for the assessment of the delivery of ICAS’ objectives in respect of the disciplinary process. Provide guidance for members of the Discipline Panel and Appeal Panel. Provide guidance to be followed for members of the Independent Examiner Panel. Monitor and respond to changes in legislation and public policy which may affect the disciplinary process. Work in conjunction with the Regulation Board and the executive management of ICAS on matters of common interest. Ethics and integrity are at the heart of the professional responsibilities of ICAS members. The Ethics Board’s mission is to provide knowledge, guidance and assistance to ICAS members in order that they may meet the ethical responsibilities of their profession; and to support, guide, and challenge the ICAS leadership with its strategic goal “To become a global leader in the application of professional ethics". The Chair of the Ethics Board is Norman Murray. The Members' Board provides strategic direction, governance, constructive challenge, guidance and support to the Member Engagement Division. The Division delivers the bulk of the ICAS member engagement strategy as part of "Building A Professional Community". This includes member events, digital engagement, conferences, member communications, marketing, The CA Magazine, offers and discounts, sponsorship, media relations and the collection of subscriptions from members. The Division also oversees the network of Area Committees across the UK and the ICAS international communities in more than 20 locations around the world. The Chair of the Member Engagement Board is Bruce Pritchard. The Chair of the Policy Leadership Board is Philip Johnson. The Qualification Board has oversight of the Examining Board, Student Education Committee and Test of Competence Examining Board. One of the main aims of the Qualification Board is to formulate, advocate, implement and monitor policies and standards designed to achieve the strategic aims and objectives set by Council in relation to business education and professional competence; and reports progress annually in relation to strategy to Council. The Chair of the Qualifications Board is Mark Hoskyns-Abrahall. The Regulation Board is responsible for the effective oversight of the Regulatory Committees, regulatory policy and the maintenance of professional standards of Members, CA Student Members, Affiliates and Firms. The Regulation Board has delegated powers relating to the regulatory functions of ICAS and has established and sub-delegated these powers and functions to its Regulatory Committees. The Chair of the Regulation Board is Lord Wallace. The Audit Committee is established under Rule 12.1. The Audit Committee has delegated powers relating to oversight of the financial statements and internal and external audit processes. The Audit Committee monitor the objectivity and independence of the external auditors and approve the Non Audit services policy. The Chair of the Audit Committee is Stephanie Bruce. External appointments made by Council. Council shall have regard but shall not be bound by the recommendations of the Nominations Committee. The Chair of the Nominations Committee is Sandy Manson. It is the duty of the Remuneration Committee to make recommendations to Council concerning the policy for remuneration of ICAS Staff, approval of certain expenses, matters in relation to the tenure of office of the Chief Executive and other Officers and Public Interest Member remuneration. Council shall have regard but shall not be bound by the recommendations of the Remuneration Committee. ICAS' Nominations Committee has delegated authority for the appointment of Public Interest Members to ICAS Council. Public Interest Members are appointed for a three-year term, which can be renewed for a further term of office of up to three years at the discretion of the Nominations Committee.